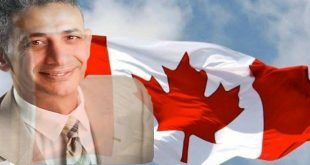 مطران لوس انجلوس يفتتح كنيسة جديدة للقديس مرقريوس أبو سيفين والانبا إبرام . 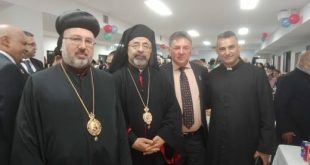 Milan Maksimovic independent candidate for Prospect and board director of Australian Christian Nation Australia was invited by Syriac Orthodox Church as honored guest. 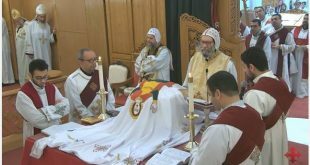 In his speech Milan said in his speech that church is the foundation of the civilization. It is sad to see that times are changing and laws are changing and putting Bible and Word of God outside of the law. It is very important that we do not blindly just vote for major parties but we do our research on all candidates. We need to vote for a candidate that has same Christian values, principles and stands for our Church. 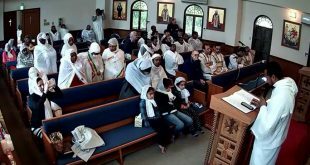 Milan Maksimovic was also attending morning mass at the Saint Abanoub and The Holy Apostles Coptic Orthodox Church. 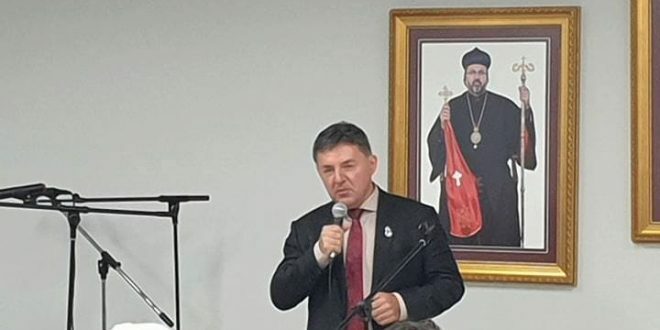 Mr Maksimovic is well know to Coptic and other Christian community for his strong support regarding human rights and providing humanitarian help for persecuted Christians.